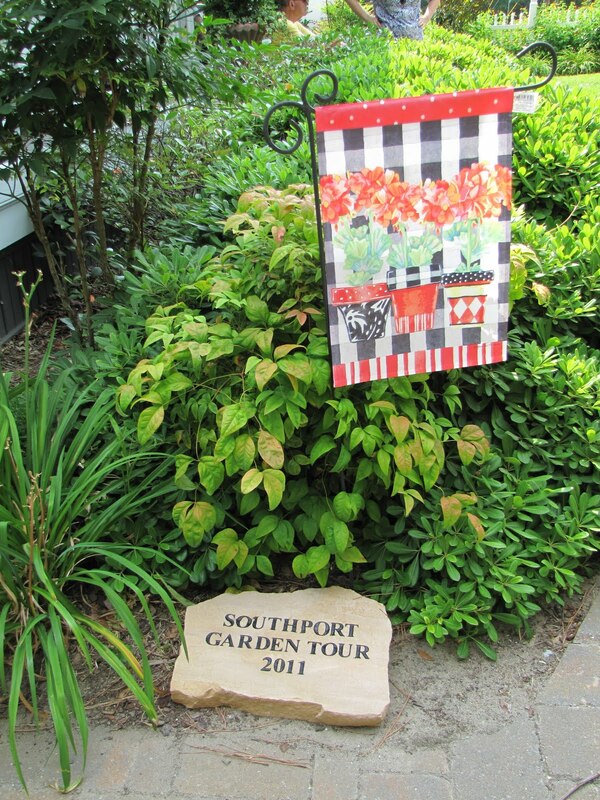 This year the Southport Garden Club and Downtown Southport, Inc., teamed up to do their first-ever garden tour. My mother-in-law, Kathy, or KD, was chair of the committee and her house was also on the tour. She and my father-in-law, BobD, spent countless hours planting, watering, pruning and babying their plants to get ready, and it showed. All the hosts were given garden stones that said "Southport Garden Tour 2011" as a token of appreciation. Here are a few pictures from the tour. I hope you enjoy.